For too long there has been a disconnect between schools and parents, particularly low income parents. Scholars have identified many factors that affect parental involvement ranging from family income and school staff attitudes to environment and culture. In addition, parental education levels also contribute to overall student success. Although some young students manage to balance the responsibilities of home, school, and community, an alarming number of young learners struggle to independently manage academic assignments in the shadows of low parental involvement. 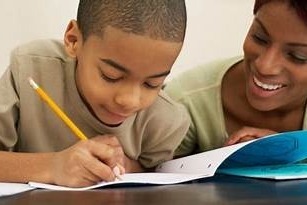 The Parent Academic Coaching Empowerment (PACE) curriculum goals aim to: (1) provide parents with real-life tools/life skills to manage everyday stressors; and (2) improve teacher/administrative communication strategies; and (3) reduce barriers to professional support for long-term assistance and/or self-care. Friends of Bright Minds Community Prep (FBMCP) relies on collaborative partnerships, with licensed professionals, to co-facilitate workshops and learning activities with the parents. The organization believes such relationships not only add credibility to the program, but more importantly, make parental access to professional care (mental health, wellness, finances, etc.) safer, easier and quicker. FBMCP serves as a “community connector” by linking parents to local resources based on workshop themes or conversations that stem out of the PACE experience. In order to actualize our goals and make this program a reality we will need your help and support. No donation is too small. Every amount can help.